In this time management game you should assist Jill and her closest friends in running four different cake shops. Organize various events like making the world's greatest cake to attract people to Cake Mania Main Street. Enjoy spending your revenue on upgrading your business. This new game from the popular Cake Mania series features absolutely new mechanics and fascinating graphics. Fans of the series won’t be disappointed and novice will adore it! 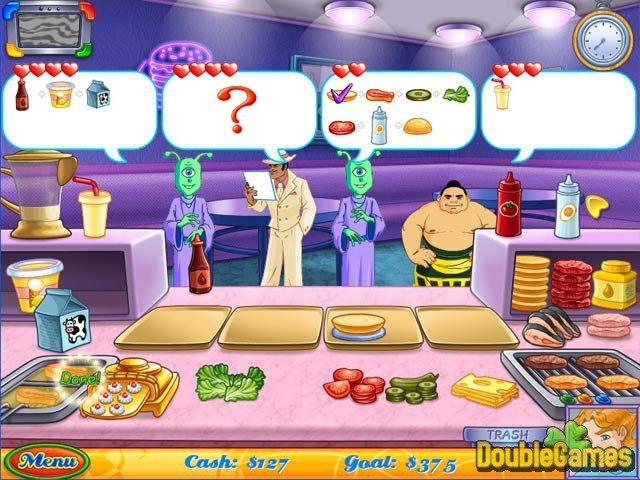 Title - Cake Mania Main Street Game Download for PC Description - Get Cake Mania Main Street, a Time Management game made by Sandlot Games. Lead your owm business! The plot of a new game will please you with its slightly new direction, providing more varied gameplay and a host of new and interesting challenges. It’s not just cake anymore, as now you’ll be slinging sushi and building burgers in order to raise money to revive Jill’s home town! In that way Cake Mania: Main Street has you managing four different shops. 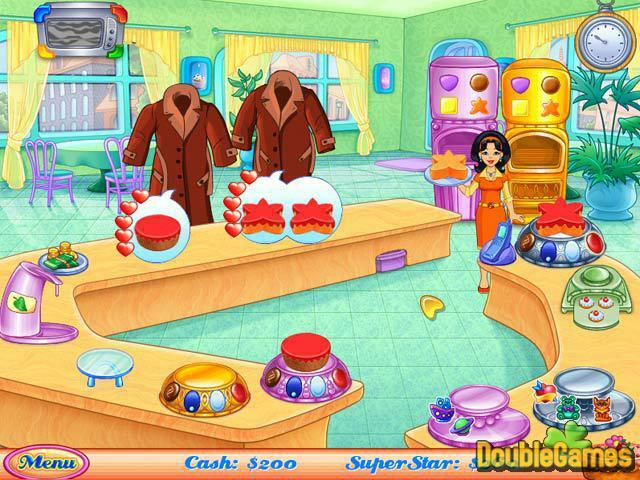 You’ll be engaged in the same sort of activities previous Cake Mania games dealt with. So you are to bake different sorts of cakes and serve demanding customers. Gameplay starts a little slow, but after a few levels you earn enough cash to buy a few upgrades to make things run faster and make more money. However, the game including 100 levels can produce the effect of prolixity. Some gamers can find the voice of acting a bit grating, but still it is a matter of opinion. There are a lot of dialogues, which you are able to skip of course. Nevertheless, we cannot but point out the developers’ efforts to make the game bright and addictive. Cake Mania: Main Street has the high quality cartoon images, peppered with plenty of humor. Special attention deserves the clients of these shops, which are funny and have their own specific character traits. 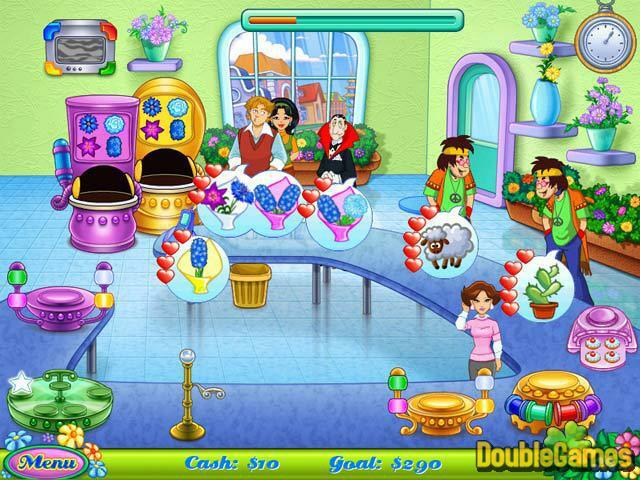 And if you are a time management game lover, give it a shot in this nice sequel in the Cake Mania series!